When staying in Hauz Khas, what is te closest place for me to get a sim card for my iphone? What is the best data plan? Airtel is my current favorite. You can find shops everywhere! Ask a local person. Actually I googled for a local Airtel office which was better since I couldn't figure out that insane form and my phone needed a bit of adjustment and they did all for the pagul videshi.. There are shops in Hauz khas near the metro station as well as in Hauz Khas village. Just ask someone and they will show you where. Airtel and Vodafone both work well. There will be a plan where you can get 1.5GB data (3G internet) + roaming calls + free SMS for a very minimal amount (around Rs. 200-300 per month). If you also need international calling, ask him for an add on plan for that. Hope this helps! Videshis can still get sims? Or is that limited to locals these days? It took me 24 hrs to buy and activate an Airtel sim in Chennai last year, 2017. You need to provide a photocopy of your passport info page and also your visa. 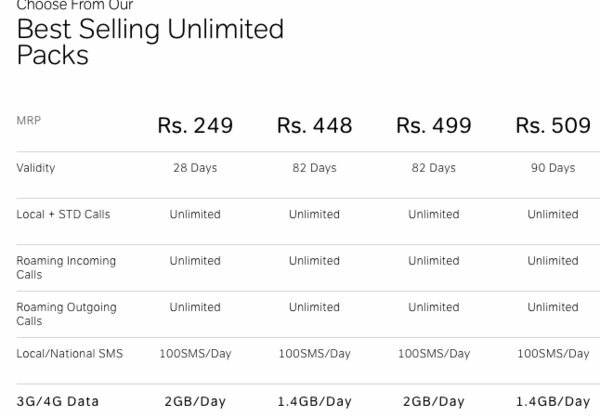 Cost of sim was Rs.25, then the top up was about Rs.300. You have to wait 24hrs, then call airtel to activate... That was an airtel freephone call. Competition is so stiff they are throwing data at us! I get a gigabyte a day on my phone, and often use none of it. Apparently my landline broadband has accrued one terabyte of unused balance. This costs the company nothing: I didn't use it because I didn't need it... I'll never need it. I think... The thing for visitors is to check the available packages and not get ripped off. Probably safer at the company showrooms than the small shops. And make sure to get national roaming. And check for add ons that can make phoning home cheap. For 31Rs I get calls to UK for 1Rp a minute. And, anyway, there's WhatsApp, Skype, etc. But maybe your granny is not comfortable with installing that stuff. Why ? Why Hauz Khas for SIM ? Get your SIM at the airport, unless you want to nickle-n-dime ! And here are the popular packages. I have no idea about Jio, which is rather popular with many locals. Carry your existing unlocked cellphone with you. Bad news, though. I was in Delhi last month (April 2018) and tried to get an AirTel SIM as I usually do in Delhi, but they wouldn't issue one to me at all, though I could show my passport and lifelong visa, which have always been acceptable before. I don't know if the rules changed, or what, but I had to have friend get me a SIM using his Aadhaar identity card. So I WOULD recommend that you get your SIM card at the airport, because that is surely the place most likely to know how to deal with foreigners and their paperwork. Does anyone know exactly where in IGI (flying out through Dubai, think I land IGI in Terminal 3)? Is it a matter of minutes? Or lengthy process? What do I need other than passport? When are you going ? i am passing via T3 arrivals from Dubai in early october and can check . From memory The airtel booth was after luggage collection but before exiting the airport ( and they will not let you in after you have come out ) . Not sure of things have changed over the last year..
Is that the luggage area before clearing last security / customs point? So it is before entering into public area?